This lesson can be used as a pre-lesson for the Word ChompLesson plan. Rhyme: Two or more words that end in the same sound. 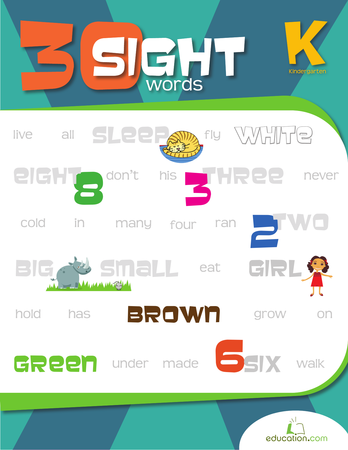 Sight word: A common word to memorize. 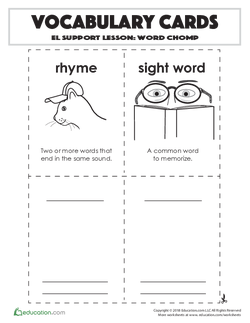 Students will be able to read high-frequency rhyming sight words. 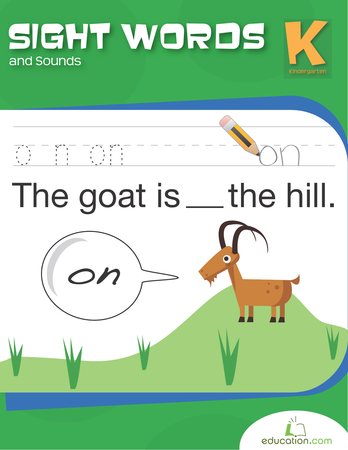 Students will be able to identify and verbally share sight words and rhyming words in a fiction story using a picture sort. 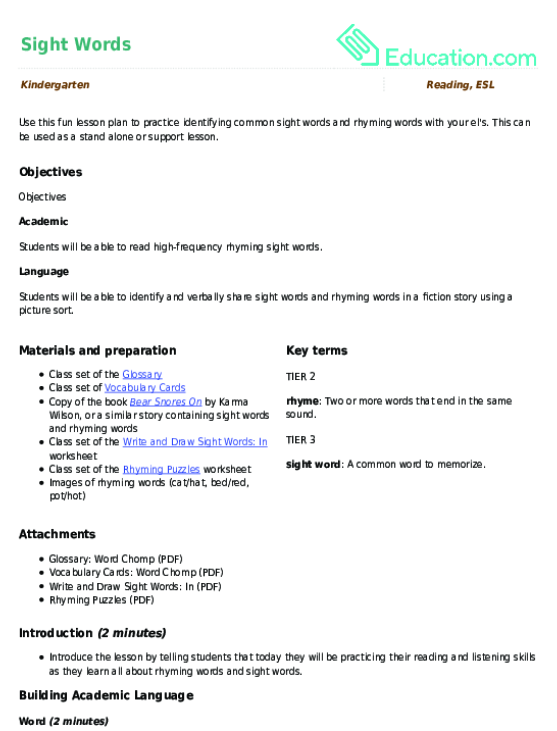 Introduce the lesson by telling students that today they will be practising their reading and listening skills as they learn all about rhyming words and sight words. 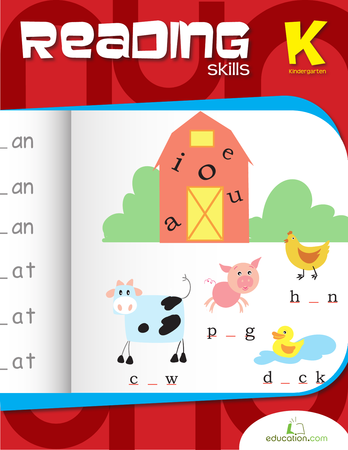 Display the images of rhyming words and read each pair aloud. Ask students if they notice anything special about each word pair. Explain that the words rhyme by saying, "When two or more words end in the same sound, they rhyme"
Put the definition of rhyme on the board for students to reference. 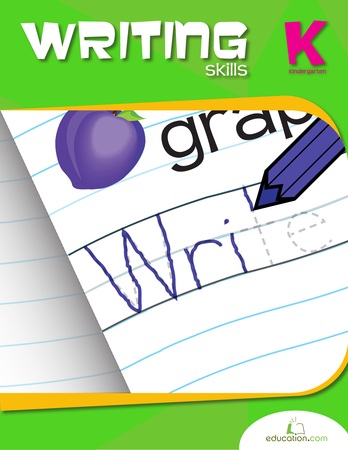 Tell the class that now you will play a rhyming word game. Explain that you will say two words aloud. If the words rhyme, students should stand up. If they don't rhyme, they should stay seated. Say several rhyming and non-rhyming words aloud. 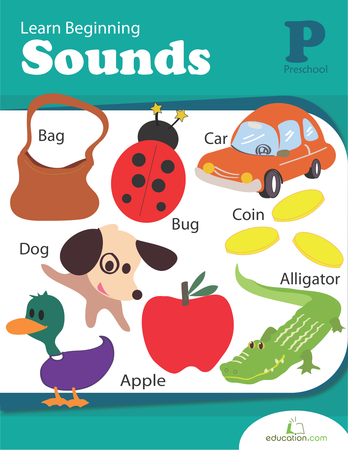 Have students practise identifying which words rhyme. Ask students to turn to a partner, say one word aloud, and have the partner share a word that rhymes. For example, "Can, what word rhymes with can?" Repeat with several more words. Explain that this word is called a sight word by saying, "A sight word is a word that we see often when we read and should memorize so that we can read it nice and fast." 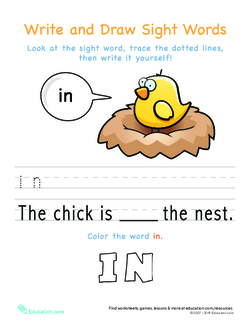 Tell the class that you will now read a story that has the word "in" and also some rhyming words for them to practise! Read aloud the book, Bear Snores To the class. 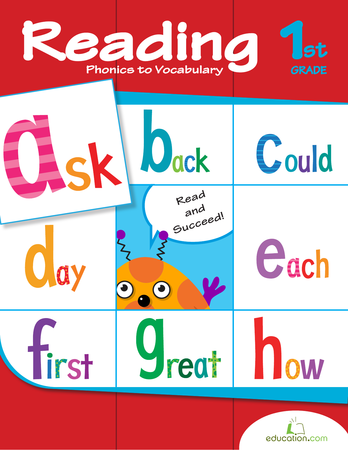 Stop reading when you read aloud two rhyming words. 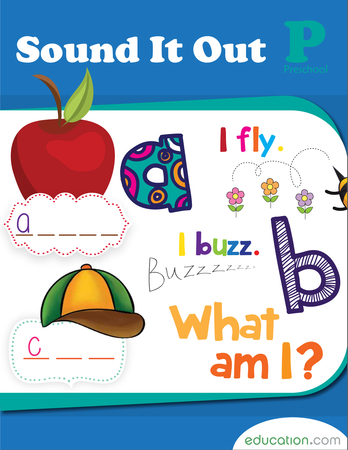 Ask the students to say the words aloud with you and listen for the part that sounds the same (e.g., howl/growl). 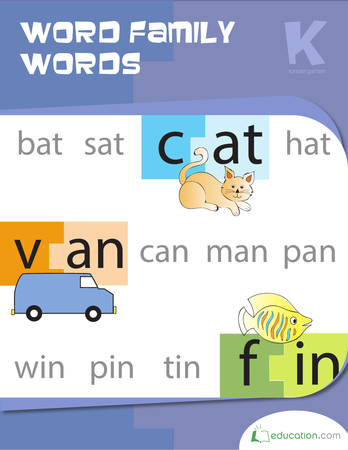 Provide students with rhyming picture word cards to match with a partner to practise identifying rhyming words. 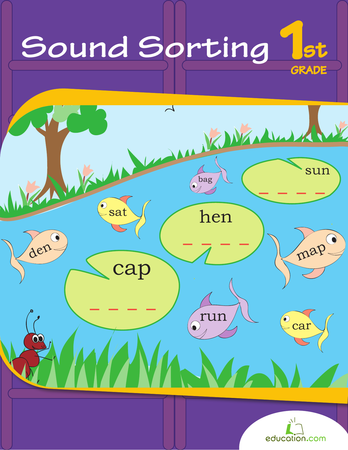 Ask students to come up with their own rhyming word pairs using words from the classroom word wall. 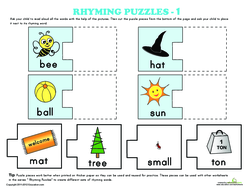 Pass out the Rhyming Puzzles worksheets to each student and have them complete with a partner. 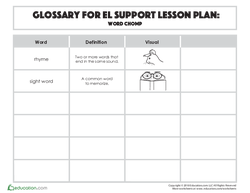 Ask students to say each rhyming pair aloud to their partner, and assess whether students were able to accurately match each of the rhyming words. 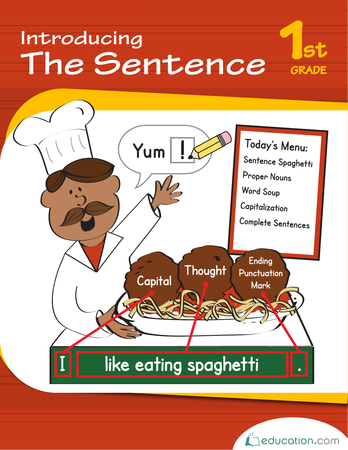 Have students complete the Read and Draw Sight Words: In worksheet as an exit ticket. Say the word "in" aloud. Model thinking aloud to find a rhyming word, such as "tin." Ask students to think of words that rhyme with "in", and turn and talk to a partner to share their words.